You would know by now I am obsessed with jackets and look forward to every jacket that not only feels comfortable but looks stylish as well! Recently I ordered from one of the most popular fashion online shopping websites- Romwe! While browsing their website, I was amazed to see the varieties of clothing! They have everything related to fashion that a girl crave for! 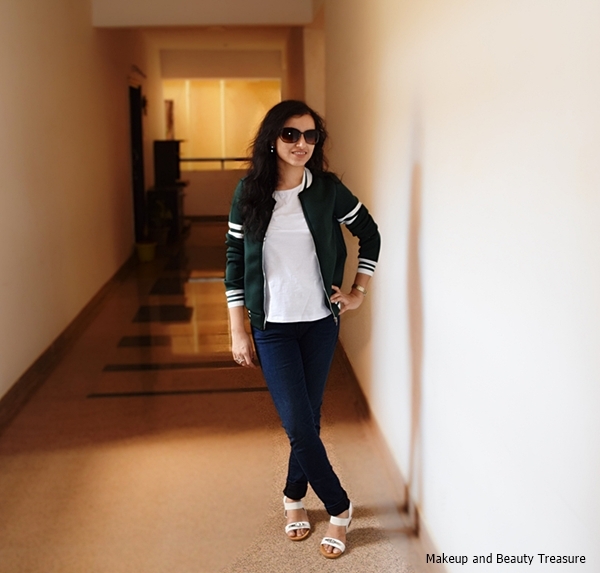 This simple yet stylish bomber jacket instantly caught my attention and I know I had to get it! My online shopping experience with Romwe was super good! I ordered my jacket and it reached me within a week! I was really impressed by the fast delivery! You can make payment via credit cards or PayPal! 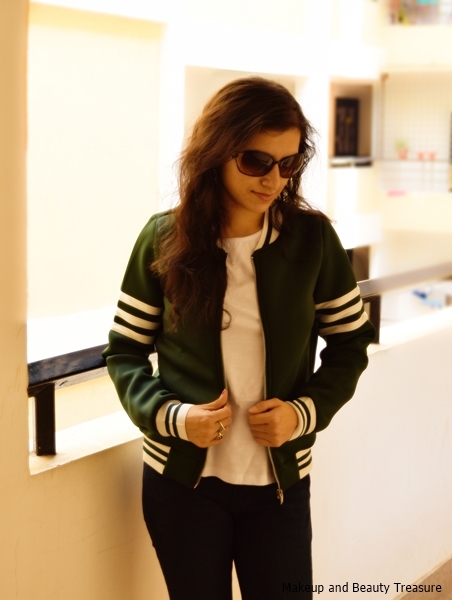 This bomber jacket is basically for the winter season as it is quite warm! I loved the white stripes on the green color! It really stands out and make such a simple outfit, a stylish one! The fabric is really light but gives a warm feeling when worn! I always love zipper jackets becauseIi really love to keep my jackets open most of the time! I ordered size XS that fits me well! - Loads of varieites to choose from! - I loved how stylish my jacket looks! - Romwe provides worldwide shipping! - Lots of offers on the website! - Perfect for winter season! I know it's summer season but I can't stop myself from getting jackets when they are at such low prices! I am waiting for the winter season to arrive soon! I love jackets and layering and can't wait to wear them! 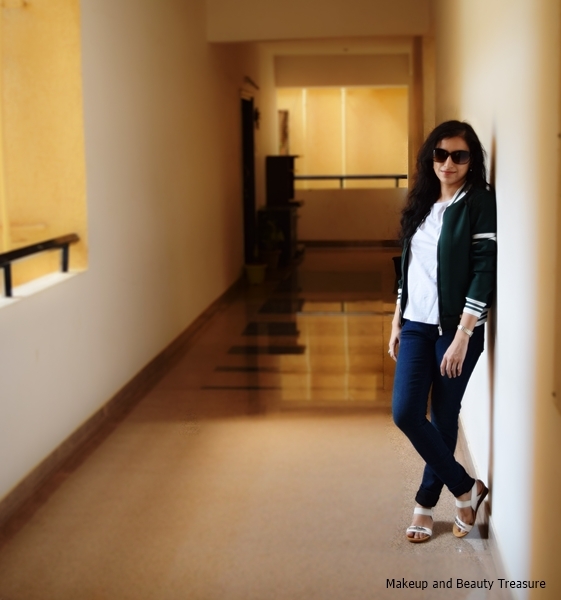 I am totally in love with this stylish, bomber jacket from Romwe! I would highly recommend everyone to check out their jacket! Have you shopped from Romwe? Do you love bomber jackets? Thank u so much Emily!! !